Test drove the big 3 HD trucks back to back to back - TrackHQ.com, the Web's leading forum for track day enthusiasts, racers and time attack drivers. Just came back from test driving the F350 crew cab (Platinum), a Sierra Duramax crew cab (Denali) and the 2018 Ram Crew and Mega cabs (Laramie). I am actually shocked by my own findings, going into this without bias. I drove the Ford first. Just getting into it, the interior quality is excellent. The crew cab is on par with the Dodge mega cab in terms of space, minus the extra storage room behind the back seats, impressive. Took it for the longest test drive of the bunch - ride quality is shockingly good. I mean, seriously, it's amazing. The truck feels very big on the road and steering is not the most communicative, but it's very decent. Engine obviously has enough power, but is somewhat underwhelming in terms of punchiness (that is a real word). Towing features are on a completely different level than the GM and the Ram. The score card added up to something I completely didn't expect. The Sierra Denali Duramax was next. Just sitting in it at the dealership it already felt kinda cramped inside, color me unimpressed. The cab felt cheap, sub par plastics and switches that you don't expect in a truck that has a $70K window sticker. The test drive was a bi-polar experience - the ride quality is bad, not just a little bit, it sucked. The engine trans combo, however, is a gem. Goddammit that Dmax / Allison is oh-so good. Wow! The score card did not impress, a truck needs to have more than just the best engine / trans combo, and as good as they are, it just doesn't cut it. The Ram was a familiar territory. Went into a Laramie crew cab first, to see how I feel about it after 4 years of mega cab ownership. It was okay, much better than the GMC, not quite as good as the Ford. I really didn't care for the notched back seat in the crew, and sitting in the mega a few minutes later definitely made me happier. The front seats are the most comfortable of the bunch (with the Ford in 2nd), very supportive without feeling too bolstered. Wife said the same too. On the road it was somewhat better than my 2008 Ram, better than the GMC by far but nowhere near as good as the Ford, which admittedly is the best riding HD truck I've ever been in. The Cummins engine might be the lowest rated on the paper, but feels punchier than the Ford and not too far behind the Duramax. Score card is decent, pretty much where I expected it to be. If the cost was not an object I would've probably driven the Ford home today, but the price is significantly higher. The fact that the 2019 Ram is a brand new model makes me believe I will most likely find the best deal on a 2018 Ram out of the 3, but man, I am surprised with how I feel about this. LOL! 1st world problems. You probably aren't going to sleep well tonight. Glad to hear Ford is stepping up there game. I drove Chevy work trucks for years, but the crummy brakes forced me to make a change and I have never looked back. 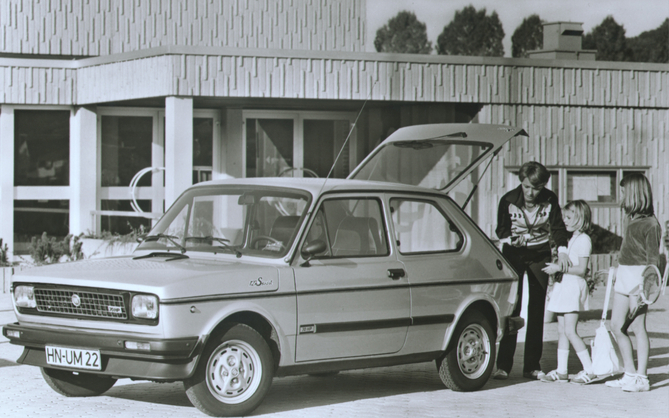 And after that one we got our first big car, a Fiat Uno with a mighty 1.4L and for the first time - rear doors! Might be 1st world problems, but I never forget where I came from. So, after all that you're going to replace your Dodge with a ... Dodge. That sounds like a fun way to spend a day. Thanks for posting the comparison. I wish I would have gone with a 3500. Ford expedition to HD 2500 felt like overkill at the time but, in hindsight, I wasn't dreaming big enough. Now, I'm dreaming of adding a pop top truck camper on my 2500 while towing a fully loaded enclosed trailer, but I'll be over the GVWR if I don't choose carefully. Sell Moti your 2500 and upgrade! I would have gone 3500 too. In fact if I did not live in LA county I would have a dually. You could easily tow a living quarter trailer with your 2500. Do some digging on the Internet. A lot of times, the only difference between a 2500 and a 3500 is the addition of one leaf to the rear springs. I was thinking now that I have room for a dually it might be cool/handy/*****in' to have one. However, when I saw the prices of models newer than my 2005 Silverado 2500 HD and the mileage on the same-year dually trucks I found for sale, I figured I'd keep mine because it only has 67,000 miles on it. Most of what I found for sale had twice that. On my Chevrolet, weight designations are related to springs, axle and wheels. The wheels and the axle are the same on a 2500 and a 3500, so the only difference is springs, and 3500 has one more leaf than the 2500. I think it's like $400 for a pair 3500 leaf springs. If I ever get a larger trailer, I'll go with the springs before buying a new(er) 3500. It's worth checking out on your Dodge, too. you just made me spend 20 minutes diving down this rabbit hole. for my configuration and year, the only difference in suspension/drive train is the rear leaf springs. I have been researching the hell out of this because the tow ratings on the F-Series jump quite a bit 250 to 350. Truck shopping makes my brain hurt. I went further down this rabbit hole. Last edited by b3d3g1; 04-23-2018, 03:13 PM. ^^The max trailering and payload aren’t much more than my ‘15 1500. I’m a little surprised by that.